Gov. Mike Pence, during an event at Warren Central High School in Indianapolis, signs an executive order creating the Center for Education & Career Innovation. Reactions to Gov. Mike Pence’s creation of a state agency, putting several of Indiana’s education bodies under a new roof, fell into two principal camps. In one camp: Legislative and business leaders praised the Center for Education and Career Innovation as a better way to coordinate “disparate” agencies, from the State Board of Education to a state-level agency that authorizes charter schools to the Indiana Career and Works Councils. 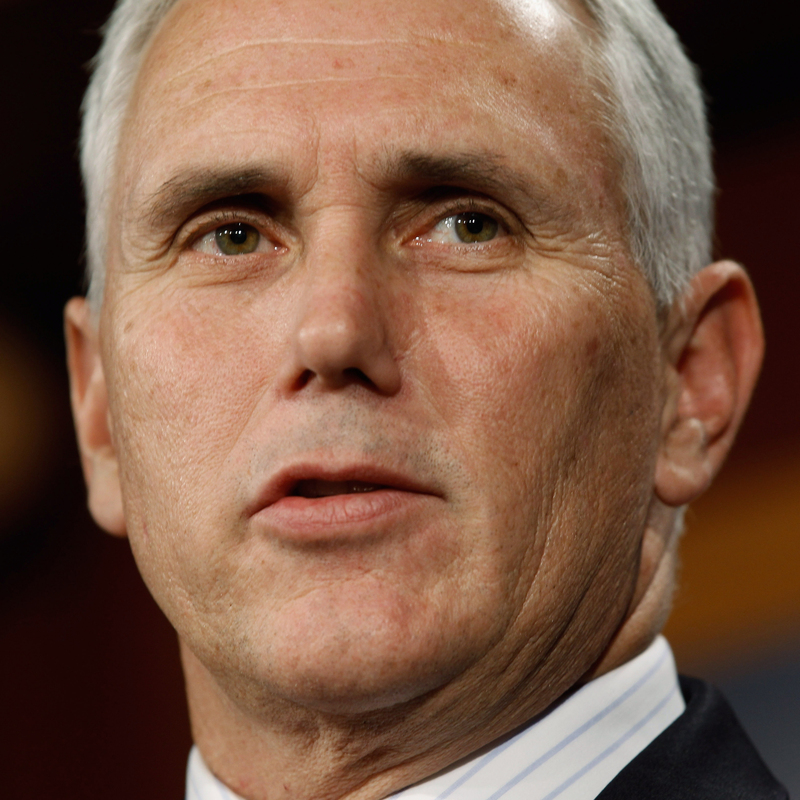 In the other camp: Indiana’s largest teachers union charged Pence with power grabbing. 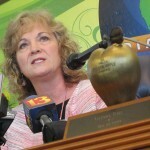 Others questioned the need for what amounted to “a second Department of Education.” And state superintendent Glenda Ritz felt left out; her staff says they were “surprised” by the governor’s announcement. 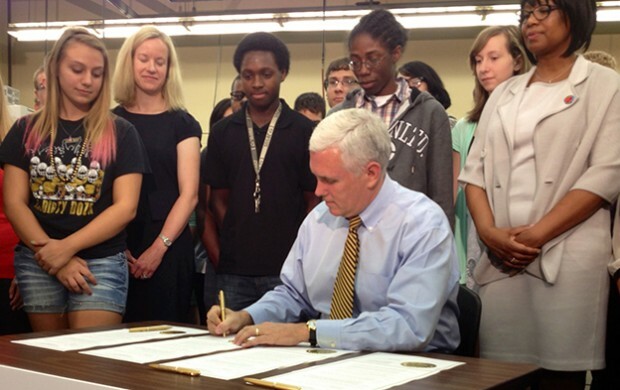 The groundwork for the new agency, however, has been laid since Pence signed Indiana’s budget bill into law. Take a look at the last biennial budget. Word search “State Board of Education.” Now take a look at the current budget. Word search “State Board of Education.” Notice anything different? The budget line for the State Board of Education — the gubernatorially-appointed panel that oversees implementation of education laws the General Assembly passes — used to be under the Department of Education itself. In this budget, it’s not. Same goes for the Education Roundtable, whose funding came from the State Board of Education in the previous budget. 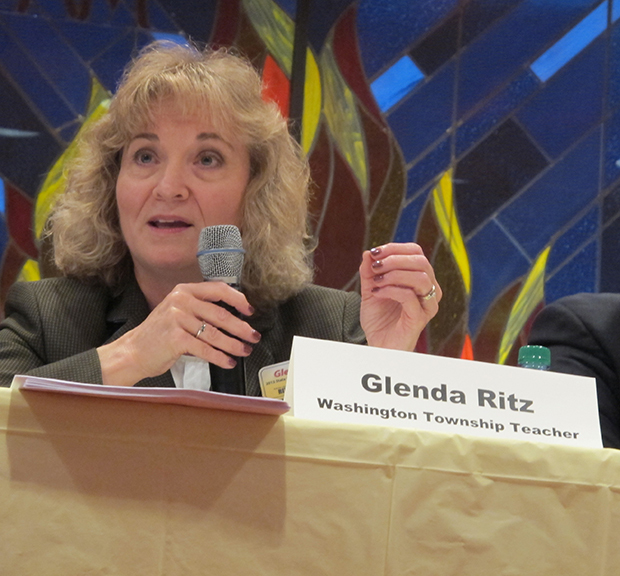 Both the previous and current state budgets give Ritz’s office nearly $8.5 million annually. The bodies consolidated under the newly-minted CECI have a collective annual budget of $5.8 million — dollars that used to live under the Department of Education’s state budget line. According to the news release, the new center will foster, identify, and scale innovative education and workforce models, tools and resources and ensure Hoosier educators have the freedom, support and flexibility to succeed in the classroom. Through transparent accountability systems, CECI will hold students, adult workers, educators, schools, higher education institutions and workforce programs accountable for their progress. The center will be led by two administrators on Pence’s staff and have a staff of 16 employees. The education department answers to the state superintendent, who answers — at least to some degree — to the State Board of Education. The board is now part of the Center for Education and Career Innovation, which reports to the governor and is also home to the Indiana Education Roundtable, which advises the Board of Education. And the center is also home to the new Indiana Works Councils and the Indiana Career Council, which are both meant to coordinate education efforts and career training. Certainly, there’s no reason to doubt the governor’s motives — or those of lawmakers or the state superintendent or the dozens of people serving on these various boards and councils. These are people who care about helping kids and adults become better prepared for whatever jobs and careers await them. The resulting system, though, is so convoluted it seems impossible to know who’s responsible for what and whom to hold accountable for student outcomes. And that’s a problem. But statements from Indiana House Speaker Brian Bosma, R-Indianapolis, and the Indiana Chamber of Commerce suggest just the opposite argument — putting these agencies under one roof, they argue, makes a lot more sense. CECI works to break down barriers and better coordinate our state’s resources. By enabling the state to align K-12, higher education and our workforce development resources, we will be better equipped to develop the skill sets Hoosier students need to thrive in tomorrow’s economy. With nearly one-third of the state’s workforce lacking the necessary skills to succeed in our economy, we must continue to focus our resources on solutions that seek to provide Hoosiers with the tools they need to succeed in our globally dynamic marketplace. The CECI is a great step in that direction. The Indiana Chamber applauds the Governor’s continued focus on education and workforce development issues. It will benefit the state to have multiple policy bodies that previously have worked independently of each other now coordinated through one office. The ultimate responsibility for improving our education and workforce training systems rests with our state’s chief executive. Governor Pence has accepted that responsibility and is putting in place the leadership that will be needed for coming years. We already have a duly designated public official democratically chosen by the people to lead education in our state, namely, the Superintendent of Public Education. If the governor has ideas on how education can better align with job creation, I’m sure the Superintendent would be thrilled to hear them. But we should be careful not to exclude nor undercut the chief educational officer’s duties to ultimately lead our state’s educational efforts. CORRECTION: An earlier version of this post cited Lanane as “D-Muncie.” The minority leader’s state senate district covers part of Muncie, but we normally refer to lawmakers’ city of residence, which, for Lanane, is Anderson.